Jim Rogers: If the stock market goes down — say, you pick the number, 13%, 23%, who knows — everyone will be screaming, and Mrs. Yellen and her friends will say, ‘Oh, we’re sorry, we didn’t mean to hurt you,’ and they will loosen up again. One way or the other, the markets will heave a sigh of relief, have a big rally, maybe even turn into a bubble, at which point I hope I’m smart enough to try to short stocks in the US. Henry Blodget: We seemed to have a preview of that a few weeks ago where we had a pretty sickening plunge for a few days, and then James Bullard came out and said, ‘Hey, we’ll do what we need to do.’ And suddenly stocks took off again. So you’re expecting a bigger version of that? JR: That’s exactly right. Wait until it gets worse and it will, somewhere along the line. At which point, the Fed will panic. It’s all they know how to do, Henry, so they will pump huge amounts of money in. It’s going to go into shares, and that will cause the top. I have no idea when that will be. That’s when I would sell short. By the way, if it happens that way, one should be long, and long big time. I doubt if I will. Either I’m too smart or not smart enough. What we need is a 26-year-old. The 26-year-old will think this is wonderful. She will think she is very smart. She will make a lot of money for a while, and then it will collapse. HB: You said recently we’re going to pay a ‘terrible price’ for what the Fed doing is doing. What do you mean? JR: We’re going to have economic hard times again. Next time it will be worse because the debt is so much higher and because for the first time in recorded history, all major central banks are printing huge amounts of money. So there’s this gigantic artificial ocean of liquidity that’s going to dry up some day, and when it does, we’re all going to pay a terrible price. HB: Could the recent move in oil prices indicate a fundamental positive for the economy? JR: It’s a fundamental positive for anybody who uses oil, who uses energy. It’s not a positive for places like Canada, Russia, or Australia. It seems to me that this is a bit of an artificial move. The Saudis, from what I can gather, are dumping oil because the US has told them to in order to put pressure on Russia and Iran. And it’s probably not a real move. I read about shale oil like you do. But at the same time, North Sea production is declining. Russian production will start declining next year. All the major oil fields that we know about — all the production is static or declining. So it doesn’t quite add up on any kind of medium-term basis I can see. HB: You’ve been bullish in the last year or two on Russia, which is now going through something of a crisis. Has your view changed? JR: No, no. I’ve been travelling a lot lately. I should probably try to sit down and figure out what to buy in Russia again. It has had a collapse, as you know, but I suspect if you look at things like Russian ETFs, they are down at previous lows, but not making new lows. And a lot of that is because of the ruble. To Russia’s credit, Russia has not been sitting around supporting the ruble in any big way. My view of markets is you let them clean themselves out, let the system find a clearing price. To my astonishment, the Russians are being more capitalist than the Western capitalists. They are letting the currency find its own bottom. That will change soon. It will find its own bottom, and then Russia will be a good place to invest. HB: And you say that even given Russian President Vladimir Putin and his aggressiveness? JR: It sounds like you have been reading American propaganda too much. This all started with America, with that diplomat in Washington [Victoria Nuland, the Asst. Secretary of State]; they have her on tape. We were the ones who were very aggressive. We’re the ones who said, ‘We’re going to overthrow this government, we don’t like this government, even though it was elected. They are fools and we don’t like them, so we’re going to get rid of them.’ We were the aggressive ones. Crimea has been part of Russia for centuries. If it weren’t for [Nikita] Khrushchev getting drunk one night, it would still have been part of Russia. That election was in process, anyway. Everybody would rather be part of Russia than Ukraine. Ukraine is one of the worst-managed countries I’ve ever seen. Of course people want to get out of Ukraine. You would, too. It’s a disaster. And Russia has been much more prosperous. Maybe Putin has been overly aggressive, but he has been subject to horrible stress in the West. The State Department says he’s a bad guy, so the American press says he’s a bad guy. They stop looking at the facts. It happened in previous wars, including Vietnam. The other effect it’s having is driving the Russians and the Asians together. That will hurt us — the US — in the end because the Asians have more money than the West. America’s the largest debtor nation in the history of the world. China has huge assets, as do other Asian countries. So unfortunately, it’s causing Russia to turn more toward Asia. That too will be good for Russia in the long term. There are 3 billion people in Asia. You see the Russians have made this huge gas deal with the Chinese. The Chinese and the Asians have recently started an Asian bank to compete with The World Bank. This whole thing, which we started, is only accelerating bad movements. These sanctions are not hurting everybody, but they’re certainly hurting Europe, which is driving more and more people to look for competitors to the US dollar and the US banking system. In the end it’s good for Russia. I don’t like saying it. I’m an American like you are. But I have to deal with facts, not with propaganda and not with hope. HB: What would make you lose faith in Russia? JR: If Putin suddenly invaded Germany, I would certainly lose faith. If it turns out that Putin is deranged, or other people in the Kremlin are deranged. I was bearish on Russia for 46 years. I went to Russia in 1966 and came away with the idea that this will not work; this cannot work. And only in the last couple of years have I realised that something was going on and changing at the Kremlin. If I suddenly find this is wrong, that this is the same old KGB and the same old Kremlin, then of course I would change my view. HB: You made a great call on commodities more than a decade ago. We’re in a downturn now. What is your view going forward? JR: Great question. I certainly missed this correction. The correction has been worse than I thought. Some of it I knew — I’ve been quite vocal that gold would go down and stay down for a while during this bull market, maybe even under $US1,000 dollars per ounce. But still the overall correction I got wrong. My view, rightly or wrongly, is that this is a correction in a bull market. You will remember in the bull market in stocks between 1980 and the end of the century, we had some very serious corrections. And every time people said the bull market was over, it wasn’t. It ended in a bubble. My view is that’s what’s going to happen with commodities. We’re in a correction, a serious one, but that it will turn around. Back to what we said about oil, most major oil fields are in decline. In agriculture, we’re running out of farmers. So we’re facing a serious problem worldwide. I don’t see enough new supply to say the bear market has started again, that the bull market is over. I think there will be one more big leg. HB: So is this a buying opportunity? R: For sugar maybe. Rice maybe. I do own gold, I do own silver. I haven’t bought any of significance in a few years. I haven’t sold any. Gold went up for 12 years in a row without a down year, which is extremely unusual in markets. So in my view the correction will be unusual as well. Gold has not had a 50% correction in years, which too is unusual. That would be $US960 per ounce. I’m not predicting it’s going to go there. I’m just pointing out to you there’s going to be another chance to buy gold and silver in another year or two or three, I have no idea why. If America goes to war with Iran, I’ll probably buy gold at $US1,600, begging to get more. HB: When you look back at your career, are there specific experiences, either mistakes or successes, that you feel have shaped you as an investor? JR: I, like many people, didn’t know much when I was young. I thought I knew everything. At one point, I decided the market was going to collapse. I went and put all my money, which wasn’t much, into puts. And lo and behold, the market collapsed, the worst drop since 1938. I tripled my money when everybody else was going broke. And I thought, ‘Boy am I smart.’ I sold my puts the day the market hit bottom, waited for the market to rally. This time I sold short, didn’t want to pay the premium, and two months later, I was wiped out completely. I didn’t have anything left. I couldn’t meet the margin call. One thing you better learn is about the margin clerk. He doesn’t care. He’s going to give you a margin call. The six stocks I shorted eventually went bankrupt in the next two to three years. But in the meantime, they had gigantic rallies. It never occurred to me that a company on the way to bankruptcy could go up, could double. I learned a lot about myself. I learned about margin. I learned that markets do really strange things. I assumed that everybody knew what I knew. I now know they don’t but that I have to wait. My timing is useless and hopeless. I now realise if I want to do something, I usually wait a year or two, and even then I am wrong in my timing. When I speak at schools and universities, I explain to them that there’s nothing wrong with failing, nothing wrong with losing everything, but please do it when you’re young, when you don’t have that much money. Learn your lessons that way rather than when you’re 50 and it could be $US50 or $US100 million dollars. That was a great experience. Iraq’s army prepares to cross the Karoun River in October 1980 while celebrating their success in the war against Iran. Once in 1980, when oil had been booming for a decade, I came to the conclusion the bull market was over, and I shorted oil. And that weekend Iran and Iraq went to war. Needless to say, I had to scramble in panic, and I covered like every other amateur. One could say that was bad luck. But no, no. Somebody knew that was coming. You don’t move a lot of armies and start a war without some preparation. I just hadn’t done enough homework. Nearly all the mistakes I’ve made have been from not doing enough homework. Whenever I get sloppy I nearly always lose. HB: How do you know when to actually stop doing homework and start making a trade? JR: Well, I do try to discipline myself and realise I better wait, because my timing is hopeless. Eventually I get enough confidence. But even then, Henry, you can’t just act. You gotta keep at it. Because something can change, and things do change. As we were discussing, I decided to start buying Russia and, lo and behold, came the Ukraine. It didn’t occur to me that America was going to try to throw its weight around and try to overthrow the Ukrainian government. I should have done more homework and been more aware. When things change you need to change with it, you need to reexamine and see if you were wrong in the first place. The market constantly makes me reexamine. HB: You have said you were poor in the beginning of your life. How has that shaped your career and the decisions you’ve made? JR: When I went to Wall Street I was stunned by what I would hear. How trees can grow up to the sky. Stocks cannot go down. I grew up knowing it wasn’t easy to get money and it wasn’t easy to make money. When I went to Wall Street I was stunned by what I would hear. How trees can grow up to the sky. Stocks cannot go down. I grew up knowing it was wasn’t easy to get money and it wasn’t easy to make money. That gave me some grounding or reality or scepticism or something, which at times has stood me in good stead, because in the backwoods of Alabama if you came in and said some of the things I was told on Wall Street, they would run you out of town. They would know you were nuts. So that’s helped me. On the other hand, it’s made me miss some bubbles. Because if you can invest in bubbles, you will make staggering amounts of money, Henry. And that’s why you need 26-year-olds, Henry, because they don’t know any better. Unfortunately since I did grow up having a sense of reality and grounding, I’ve missed some bubbles because I knew too much, if you will. I was too smart for my own good. There’s nothing more exciting than finding a bubble or two if you can if you can invest in it artfully. I cannot. I am not any good at it. HB: You’re very humble about your timing ability. Have you met anybody who can time it well in a regular enough fashion that they don’t blow themselves up? JB: There are great traders. I try to differentiate between traders and investors. Roy Neuberger, whom I once worked for, was astonishing. I just could not conceive of how good he was at short-term timing and trading. Mike Steinhardt was an awfully good trader and timer of making investments. Mike might disagree, but I always viewed him as more of a trader than investor because he did have such a good sense of market timing. There must be plenty of guys, good market timers, short-term traders. They won’t survive if they’re not. But as far as someone who can time markets — go from a bull market to a bear market — I just don’t know that person. I am sure she exists. I just don’t know her. Michael Steinhardt, Rogers says, is a master market timer. HB: You’ve referred to the 26-year-old investor who thinks they know everything, thinks they are incredibly smart, and many of them are incredibly smart. What’s your best advice for young, smart professionals who clearly have a lot left to learn? JR: Two things. One, they have to understand the numbers and the accounting. They have to read the 10ks and the notes to the 10ks. That’s true no matter how wonderful the story is, and it might be wonderful. But they had better understand the numbers or they won’t last too long as investors. And secondly, understand history. Go back and read about previous markets, bull and bear, read about the ’20s and the ’30s. Read about the Panic of 1907. Read about all this stuff because it’s exactly the same! One reason, other than the fact that I grew up in the backwoods of Alabama, that I could recognise bubbles is because I had read about them. I realised, ‘Oh my God, they said the same thing in the ’20s!’ They said the same thing in previous bull markets, no matter where it was. ‘This time it’s different.’ They’re always talking about this new technology, or new genius or new methods. Just go back and read market history, economic history — history. I tell kids all the time that they should study history if they want to be successful at just about anything, because it has all happened before. Mark Twain said it rhymes, well, it does, if you understand history, all the big forces. I don’t mean when the First World War started, but if you understand why the First World War started, the real reasons, not because somebody was assassinated. If you can understand the real workings of previous times, you’re going to be much better able to understand our time because it’s the same stuff. We’re all the same people! We haven’t changed. We still put our trousers on one leg at a time. HB: Talk a bit about living in Singapore. What drew you to it? What do you like, and what’s toughest about it? JR: I am keen on Singapore. I moved here because I had been lecturing for many years that everybody should teach their children Mandarin because it would be the most important language in the 21st century, eventually. And then suddenly I had a child and I said, ‘What do I do now?’ We had a Chinese governess, and it became clear it wouldn’t work long-term. There comes a time when every 9-year-old refuses to speak the language because their friends say it’s not cool. So I realised we had to move to a Chinese-speaking city where our daughter wouldn’t have any choice but to speak Mandarin. We looked at all the Chinese cities. They were too polluted. Singapore seemed perfect. They speak both Mandarin and English. Everything works. There’s fantastic healthcare and education. My kids like it here very much. My wife, Paige, and I both feel it’s a great place to live. It’s certainly an easy place to live compared to New York, which I loved and still do, even though every time I go, I see it deteriorating. As for complaints about Singapore, they’re minimal. It’s not as bicycle friendly as I would like. And to my amazement, when I travel, my Singapore mobile phone gives me trouble. Even AT&T phones don’t give me problems when I travel. HB: Do you get homesick? JR: My wife says I’m a gypsy, a wanderer. I don’t think I’ve ever gotten homesick in my life. I remember as a teenager I said I wanted to see the world, I want to taste it all. HB: Given the contrast in the way you grew up, how do you talk to your kids about money? What do you tell them? JR: Oh, boy. I’ll tell you, Henry, somebody is spoiling my kids. I hope it’s not me. It’s hard, living in Singapore, since everything is so prosperous. People do expect good times or nice lives, even people who are not very well off. It’s a problem that I grapple with all the time. I have never been a parent. Certainly my kids are growing up different than me. They see the cars we have. Friends tell them, ‘that’s an expensive car, or, ‘that’s an expensive house,’ no matter how much I tell them we’re not well off. You and I both went to Yale. There were certainly kids when I was there who had grown up quite spoiled, from a life different than anything I had ever conceived of. And some of them didn’t do well in life, partly because of that. I don’t know how to solve this problem. I tell my daughters all the time that money is hard to get. I try to show them that. I try not to buy them everything in sight, which they want and they expect. When they were born I got each of them six piggy banks for 6 currencies. I am not trying to teach them to be currency traders. But I am trying to teach them you have to save, and these are different kinds of money. I do try to give them money when they do something, when they do a chore or when they do something terrific. But I don’t have an answer. I wish I did. Forbes has an excellent profile out on DoubleLine’s Jeffrey Gundlach. The entire piece is worth a read since Gundlach is not only one of the most respected investors out there today but he’s also very outspoken and entertaining. They have to be analytical. They absolutely must have an understanding of human psychology. And they have to be able to communicate and explain their views so everyone else — clients and colleagues — understands what it is they’re trying to get across. Wall Street is full of analytical worker bees. There will never be a shortage of intelligent finance people that are able to analyze the markets. Behavioral finance is definitely becoming more mainstream, but there are far fewer people in finance that understand psychology than can analyze financial statements. Most people in finance still think they can outsmart you instead of beating you with their emotional intelligence (a huge mistake). There have always been those with good communication skills in the investment industry, but the majority of them work in the sales and marketing departments. They’re only concerned with the psychology of getting you to buy something, not the process of reducing behavioral biases. There’s a huge difference between having the ability to sell a client a product and explaining to a client an investment process or idea. I’ve seen extremely intelligent portfolio managers lose multi-million dollar mandates because they didn’t have the ability to relay their message correctly to their clients. 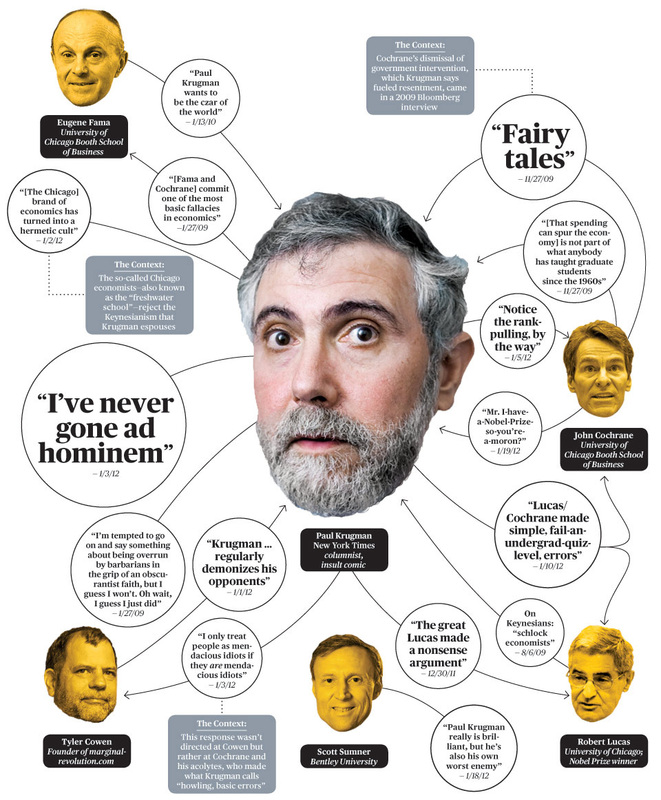 The thing I’m most often impressed with when it comes to the all-time great investors – guys like Buffett, Marks, Dalio, Klarman, Munger and even Gundlach – is their ability to translate their ideas into simple terminology. Not only are these guys brilliant, but they all simplify their message when explaining their process instead talking over your head or trying to make things more complicated than they need to be. It’s rare to find an investor that has the ability to combine all three of these skills. The first two are important for anyone investing their money in the markets. The last one, as Gundlach says, is definitely the secret sauce for anyone trying to make it in the investment business. 1. ”Optionality is the property of asymmetric upside (preferably unlimited) with correspondingly limited downside (preferably tiny).” Venture capital, when practiced properly by a top tier firm, is a classic example of a business that benefits from optionality. All you can lose financially in venture capital is what you invest and your upside can be more than 1000X of what you invested. Another example of optionality is cash held by a disciplined patient value investor with the temperament to not buy until Mr. Market is fearful. As just one example, Warren Buffett did exactly this during the recent financial panic and earned $10 Billion by putting his cash to work. Seth Klarman, Howard Marks and other value investors use dry powder in the form of cash to harvest optionality since Mr. Market is bi-polar. 2. ”‘Long volatility’ in trader parlance, has positive optionality.” As an example, the optionality of cash allows the holder to buy assets from people who were “short volatility” when a crisis hits. The wise value investor sits and waits patiently for Mr. Market to deliver a fearful market and when the intrinsic value of a company’s shares presents a “margin of safety” buys in quantity. 4. “Optionality can be found everywhere if you know how to look.” Living in a city, going to parties, taking classes, acquiring entrepreneurial skills, having cash in your bank account, avoiding debt are all examples of activities which increase optionality. As another example, a venture capitalist who invests in a team which (1) is strong technically, (2) has sound business judgment and (3) addresses a huge market opportunity has acquired optionality since the company can often find success with an offering the founders did not conceive from the beginning, but rather found as they went along. 5. “Financial options may be expensive because people know they are options and someone is selling them and charging a price—but most interesting options are free, or at the worst, cheap.” Some of the most important options are not obviously financial in nature and for that reason are not labeled as “options.” In those cases it is more likely that you will be able to purchase or acquire a mispriced option since other people often don’t understand what is involved (e.g., investment bankers have cheap options since losses are socialized when huge). 6. “Make sure the optionality is not priced by the market.” It is possible to overpay for optionality. For example, what venture capitalist Bill Gurley called “frothy trades in the bubbly late stage private market” in 2011 is a great example of overpaying for optionality. 7. “[Avoid] companies that have negative optionality.” Companies (1) focused on a niche market, (2) have employees with limited technical skills, (3) which raised too much money at an inflated early valuation or(4) are highly leveraged are examples of companies with negative optionality. 8. 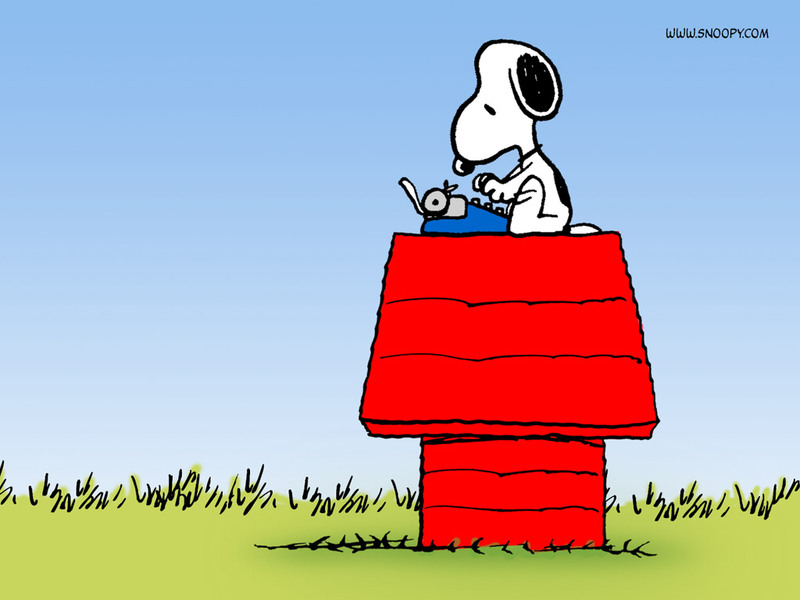 “A rigid business plan gets one locked into a preset invariant policy, like a highway without exits —hence devoid of optionality.” I am at my self-imposed 999 word limit so what follows including this quotation must largely stand on its own without commentary. This is where it helps to have identified your personal investor’s edge. What is it that you know a lot about? Maybe your edge comes from your profession or a hobby. Maybe it comes just from being a parent. An entire generation of Americans grew up on Gerber’s baby food, and Gerber’s stock was a 100-bagger. If you put your money where your baby’s mouth was, you turned $10,000 into $1 million. It’s easy to make a mistake and do the opposite, pulling out the flowers and watering the weeds. If you’re lucky enough to have one golden egg in your portfolio, it may not matter if you have a couple of rotten ones in there with it. Let’s say you have a portfolio of six stocks. Two of them are average, two of them are below average, and one is a real loser. But you also have one stellar performer. Your Coca-Cola, your Gillette. A stock that reminds you why you invested in the first place. In other words, you don’t have to be right all the time to do well in stocks. If you find one great growth company and own it long enough to let the profits run, the gains should more than offset mediocre results from other stocks in your portfolio. There are two ways investors can fake themselves out of the big returns that come from great growth companies. The first is waiting to buy the stock when it looks cheap. Throughout its 27-year rise from a split-adjusted 1.6 cents to $23, Walmart never looked cheap compared with the overall market. Its price-to-earnings ratio rarely dropped below 20, but Walmart’s earnings were growing at 25 to 30 percent a year. A key point to remember is that a p/e of 20 is not too much to pay for a company that’s growing at 25 percent. Any business that an manage to keep up a 20 to 25 percent growth rate for 20 years will reward shareholders with a massive return even if the stock market overall is lower after 20 years. The second mistake is underestimating how long a great growth company can keep up the pace. In the 1970s I got interested in McDonald’s. A chorus of colleagues said golden arches were everywhere and McDonald’s had seen its best days. I checked for myself and found that even in California, where McDonald’s originated, there were fewer McDonald’s outlets than there were branches of the Bank of America. McDonald’s has been a 50-bagger since. 5. Stocks are most likely to be accepted as prudent at the moment they’re not. For two decades after the Crash, stocks were regarded as gambling by a majority of the population, and this impression wasn’t fully revised until the late 1960s when stocks once again were embraced as investments, but in an overvalued market that made most stocks very risky. Historically, stocks are embraced as investments or dismissed as gambles in routine and circular fashion, and usually at the wrong times. Consistent winners raise their bet as their position strengthens, and they exit the game when the odds are against them, while consistent losers hang on to the bitter end of every expensive pot, hoping for miracles and enjoying the thrill of defeat. In stud poker and on Wall Street, miracles happen just often enough to keep the losers losing. The big winners come from the so-called high-risk categories, but the risks have more to do with the investors than with the categories. No matter how we arrive at the latest financial conclusion, we always seem to be preparing ourselves for the last thing that’s happened, as opposed to what’s going to happen next. This “penultimate preparedness” is our way of making up for the fact that we didn’t see the last thing coming along in the first place. The day after the market crashed on October 19, people began to worry that the market was going to crash. It had already crashed and we’d survived it (in spite of our not having predicted it), and now we were petrified there’d be a replay. Those who got out of the market to ensure that they wouldn’t be fooled the next time as they had been the last time were fooled again as the market went up. The great joke is that the next time is never like the last time, and yet we can’t help readying ourselves for it anyway. Companies don’t stay in the same category forever. Over my years of watching stocks I’ve seen hundreds of them start out fitting one description and end up fitting another. Fast growers can lead exciting lives, and then they burn out, just as humans can. They can’t maintain double-digit growth forever, and sooner or later they exhaust themselves and settle down into the comfortable single digits of sluggards and stalwarts. Sooner or later every popular fast-growing industry becomes a slow-growing industry, and numerous analysts and prognosticators are fooled. There’s always a tendency to think that things will never change, but inevitably they do. Alcoa once had the same kind of go-go reputation that Apple Computer has today, because aluminum was a fast-growth industry. In the twenties the railroads were the great growth companies, and when Walter Chrysler left the railroads to run an automobile plant, he had to take a cut in pay. “This isn’t the railroad, Mr. Chrysler,” he was told. Another sure sign of a slow grower is that it pays a generous and regular dividend. Companies pay generous dividends when they can’t dream up new ways to use the money to expand the business. THE FAST GROWERS These are among my favorite investments: small, aggressive new enterprises that grow at 20 to 25 percent a year. If you choose wisely, this is the land of the 10-to 40-baggers, and even the 200-baggers. With a small portfolio, one or two of these can make a career. A fast-growing company doesn’t necessarily have to belong to a fast-growing industry. As a matter of fact, I’d rather it didn’t, as you’ll see in Chapter 8. All it needs is the room to expand within a slow-growing industry. Beer is a slow-growing industry, but Anheuser-Busch has been a fast grower by taking over market share, and enticing drinkers of rival brands to switch to theirs. The hotel business grows at only 2 percent a year, but Marriott was able to grow 20 percent by capturing a larger segment of that market over the last decade. The same thing happened to Taco Bell in the fast-food business, Walmart in the general store business, and The Gap in the retail clothing business. These upstart enterprises learned to succeed in one place, and then to duplicate the winning formula over and over, mall by mall, city by city. The expansion into new markets results in the phenomenal acceleration in earnings that drives the stock price to giddy heights. A cyclical is a company whose sales and profits rise and fall in regular if not completely predictable fashion. In a growth industry, business just keeps expanding, but in a cyclical industry it expands and contracts, then expands and contracts again. The autos and the airlines, the tire companies, steel companies, and chemical companies are all cyclicals. Even defense companies behave like cyclicals, since their profits’ rise and fall depends on the policies of various administrations. Coming out of a recession and into a vigorous economy, the cyclicals flourish, and their stock prices tend to rise much faster than the prices of the stalwarts. This is understandable, since people buy new cars and take more airplane trips in a vigorous economy, and there’s greater demand for steel, chemicals, etc. But going the other direction, the cyclicals suffer, and so do the pocketbooks of the shareholders. You can lose more than fifty percent of your investment very quickly if you buy cyclicals in the wrong part of the cycle, and it may be years before you’ll see another upswing. A company that does boring things is almost as good as a company that has a boring name, and both together is terrific. Both together is guaranteed to keep the oxymorons away until finally the good news compels them to buy in, thus sending the stock price even higher. If a company with terrific earnings and a strong balance sheet also does dull things, it gives you a lot of time to purchase the stock at a discount. Then when it becomes trendy and overpriced, you can sell your shares to the trend-followers. Depressed enterprises on the edge of disaster can become very big winners on the rebound. It happens again and again in the auto, chemical, paper, airline, steel, electronics, and nonferrous metals industries. The same potential exists in such currently depressed industries as nursing homes, natural gas producers, and many retailers. What you want, then, is a relatively high profit-margin in a long-term stock that you plan to hold through good times and bad, and a relatively low profit-margin in a successful turnaround. It is not entirely clear what causes deep market corrections (a clear prove that markets are irrational), but without them many of the best performing long-term investors would have never achieved their spectacular returns. There are two particular periods when great bargains are likely to be found. The first is during the peculiar annual ritual of end-of-the-year tax selling. It’s no accident that the most severe drops have occurred between October and December. It’s the holiday period, after all, and brokers need spending money like the rest of us, so there’s extra incentive for them to call and ask what you might want to sell to get the tax loss. For some reason investors are delighted to get the tax loss, as if it’s a wonderful opportunity or a gift of some kind— I can’t think of another situation in which failure makes people so happy. Institutional investors also like to jettison the losers at the end of the year so their portfolios are cleaned up for the upcoming evaluations. All this compound selling drives stock prices down, and especially in the lower-priced issues, because once the $ 6-per-share threshold is reached, stocks do not count as collateral for people who buy on credit in margin accounts. Margin players sell their cheap stocks, and so do the institutions, who cannot own them without violating one stricture or another. This selling begets more selling and drives perfectly good issues to crazy levels. If you have a list of companies that you’d like to own if only the stock price were reduced, the end of the year is a likely time to find the deals you’ve been waiting for. The second is during the collapses, drops, burps, hiccups, and freefalls that occur in the stock market every few years. If you can summon the courage and presence of mind to buy during these scary episodes when your stomach says “sell,” you’ll find opportunities that you wouldn’t have thought you’d ever see again. Professionals are often too busy or too constrained to act quickly in market breaks, but look at the solid companies with excellent earnings growth that you could have picked up in the latest ones. If you know why you bought a stock in the first place, you’ll automatically have a better idea of when to say good-bye to it. The best time to sell is toward the end of the cycle, but who knows when that is? Who even knows what cycles they’re talking about? Sometimes the knowledgeable vanguard begins to sell cyclicals a year before there’s a single sign of a company’s decline. The stock price starts to fall for apparently no earthly reason. To play this game successfully you have to understand the strange rules. That’s what makes cyclicals so tricky. In the defense business, which behaves like a cyclical, the price of General Dynamics once fell 50 percent on higher earnings. Farsighted cycle-watchers were selling in advance to avoid the rush. One obvious sell signal is that inventories are building up and the company can’t get rid of them, which means lower prices and lower profits down the road. I always pay attention to rising inventories. When the parking lot is full of ingots, it’s certainly time to sell the cyclical. In fact, you may be a little late. Here, the trick is not to lose the potential ten-bagger. On the other hand, if the company falls apart and the earnings shrink, then so will the p/ e multiple that investors have bid up on the stock. This is a very expensive double whammy for the loyal shareholders. The main thing to watch for is the end of the second phase of rapid growth, as explained earlier. If The Gap has stopped building new stores, and the old stores are beginning to look shabby, and your children complain that The Gap doesn’t carry acid-washed denim apparel, which is the current rage, then it’s probably time to think about selling. If forty Wall Street analysts are giving the stock their highest recommendation, 60 percent of the shares are held by institutions, and three national magazines have fawned over the CEO, then it’s definitely time to think about selling. There’s simply no rule that tells you how low a stock can go in principle. I learned this lesson for myself in 1971, when I was an eager but somewhat inexperienced analyst at Fidelity. Kaiser Industries had already dropped from $ 25 to $ 13. On my recommendation Fidelity bought five million shares— one of the biggest blocks ever traded in the history of the American Stock Exchange— when the stock hit $ 11. I confidently asserted that there was no way the stock could go below $ 10. When it reached $ 8, I called my mother and told her to go out and buy it, since it was absolutely inconceivable that Kaiser would drop below $ 7.50. Fortunately my mother didn’t listen to me. I watched with horror as Kaiser faded from $ 7 to $ 6 to $ 4 in 1973— where it finally proved that it couldn’t go much lower. The point is, there’s no arbitrary limit to how high a stock can go, and if the story is still good, the earnings continue to improve, and the fundamentals haven’t changed, “can’t go much higher” is a terrible reason to snub a stock. Shame on all those experts who advise clients to sell automatically after they double their money. You’ll never get a ten-bagger doing that. Frankly, I’ve never been able to predict which stocks will go up tenfold, or which will go up fivefold. I try to stick with them as long as the story’s intact, hoping to be pleasantly surprised. The success of a company isn’t the surprise, but what the shares bring often is. Bottom fishing is a popular investor pastime, but it’s usually the fisherman who gets hooked. Trying to catch the bottom on a falling stock is like trying to catch a falling knife. It’s normally a good idea to wait until the knife hits the ground and sticks, then vibrates for a while and settles down before you try to grab it. Grabbing a rapidly falling stock results in painful surprises, because inevitably you grab it in the wrong place. If you get interested in buying a turnaround, it ought to be for a more sensible reason than the stock’s gone down so far it looks like up to you. Maybe you realize that business is picking up, and you check the balance sheet and you see that the company has $ 11 per share in cash and the stock is selling for $ 14. But even so, you aren’t going to be able to pick the bottom on the price. What usually happens is that a stock sort of vibrates itself out before it starts up again. Generally this process takes two or three years, but sometimes even longer. How many times have you heard people say this? Maybe you’ve said it yourself. You come across some stock that sells for $ 3 a share, and already you’re thinking, “It’s a lot safer than buying a $ 50 stock.” I put in twenty years in the business before it finally dawned on me that whether a stock costs $ 50 a share or $ 1 a share, if it goes to zero you still lose everything. If it goes to 50 cents a share, the results are slightly different. The investor who bought in at $ 50 a share loses 99 percent of his investment, and the investor who bought in at $ 3 loses 83 percent, but what’s the consolation in that? The point is that a lousy cheap stock is just as risky as a lousy expensive stock if it goes down. If you’d invested $ 1,000 in a $ 43 stock or a $ 3 stock and each fell to zero, you’d have lost exactly the same amount. No matter where you buy in, the ultimate downside of picking the wrong stock is always the identical 100 percent. Sometimes it’s always darkest before the dawn, but then again, other times it’s always darkest before pitch black. 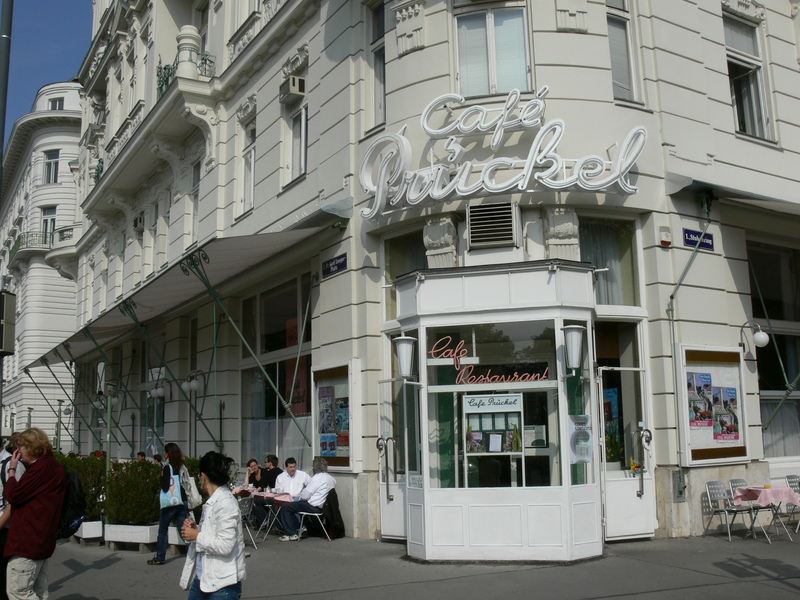 The Pruckel cafe in Vienna Austria. Never been, but I’ll add it to my list.